Will the USF Bulls manage to win another game? Maybe the thought came to you as Tulane -- Tulane, of all teams -- was running through the Bulls' porous defense. Maybe it was when Darnell Saloman caught a deep pass, and the ball was knocked from his grasp and bounced backward to a Green Wave defender. Maybe it was when Tulune scored 34 straight points, sending the limping Bulls to their second straight lopsided loss. Will these Bulls ever win again? 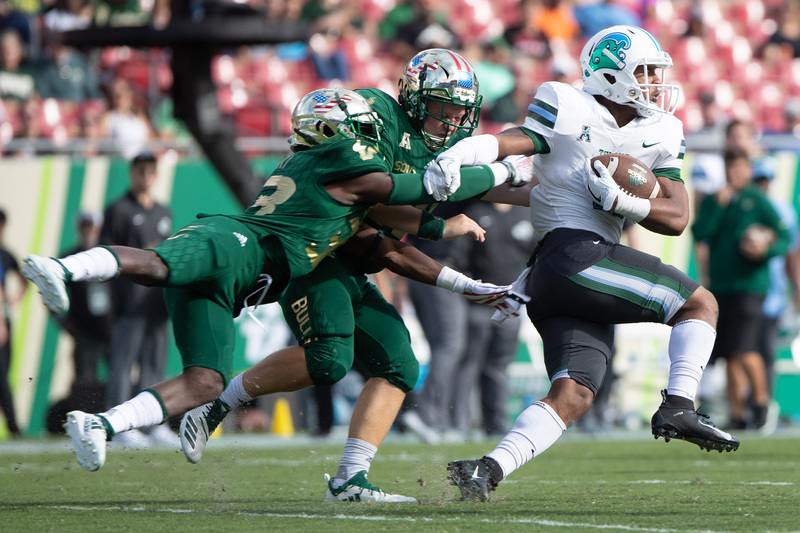 It didn't feel that way Saturday as a 4-5 Tulane team ran the Bulls out of their own stadium, coasting to a 41-15 victory. It is as if the rest of college football has caught up to the Bulls and their suspect defense, and suddenly, USF can't stop anyone. opponent to rush for at least 220 yards. 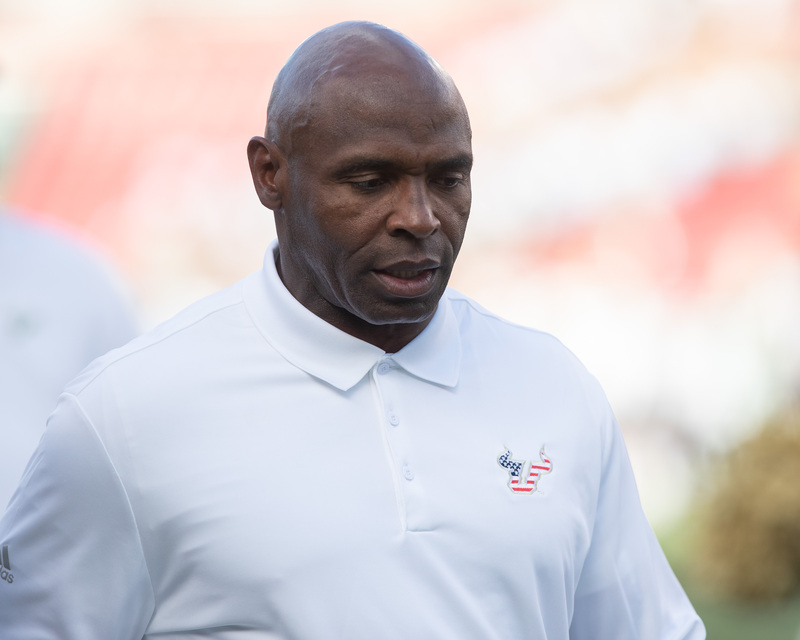 "A disappointing loss," said USF coach Charlie Strong. "For us to come out and play the way we played … it's on the coaches. I told our players that Thursday I saw it coming and didn't say much. Even today during pregame warmup I saw it coming. I said, 'I know we're not ready to play, we're not focused.' It's just the little things, and they catch up with you." on a yards-per-game basis, had just 10 yards on five carries. Two Tulane ballcarriers, Darius Bradwell and Corey Dauphine, rushed for 134 yards and 120 yards. As the season winds down, it's easy to wonder if the winning is over for this USF team. They have games at Cincinnati and Temple the next weeks before a home finale against UCF. "We didn’t play hard at all," Strong said. Barnett finished the game with 332 yards passing, but USF's top running back for the game (Johnny Ford) had only 38 yards rushing. The Bulls gave up 429 total yards. The Bulls travel to Cincinnati Saturday. Previous post: Ask Gary: Should the Bucs have deactivated Winston?